The audited results for the March quarter and FY 18 are in line with the unaudited numbers released on June 27. In its unaudited financial numbers, Fortis had reported widening of consolidated net loss to Rs 914.32 crore in Q4 FY18. Fortis Healthcare released the audited financial results for quarter ended March of the last fiscal and financial year 2017-18. There is no change in the audited results for the March quarter and FY 18 in comparison to the unaudited numbers released on June 27. In its unaudited financial numbers, the embattled healthcare firm had reported widening of consolidated net loss to Rs 914.32 crore for the March quarter of FY18, hit by continuing business challenges, provisions and impairments. It had posted a net loss of Rs 37.52 crore in the year-ago period. 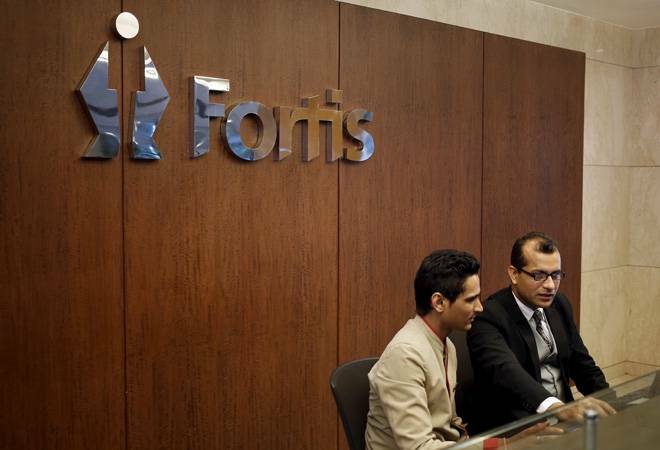 "The audited financial statements have been released on the completion of the additional review of certain internal processes which were being undertaken at the request of the Board of Directors", Fortis said in a filing to BSE. As expected, there has been no change in the figures reported in the audited financial statements compared to the unaudited results announced on June 27, it added. "With the release of the audited financial statements, we have addressed an important objective that we had set for ourselves, as a reconstituted board comprising independent directors, in the backdrop of recent developments," Fortis Healthcare Board of Directors Chairman Ravi Rajagopal said. Our focus in the future will be on strengthening governance and transparency and restoring the health of the business, he added. "We are also in the process of evaluating the bids received on July 3, 2018 and will present our recommendation to the shareholders in the coming days," he said. Consolidated income from operations stood at Rs 1,086.38 crore for the reported quarter. It was Rs 1,123.43 crore for the same period a year ago, Fortis had said. For entire 2017-18, the company posted a net loss of Rs 934.42 crore. It reported a profit of Rs 479.29 crore in 2016-17, it added. Consolidated income from operations stood at Rs 4,560.81 crore during 2017-18 as compared to Rs 4,573.71 crore in the preceding year. Fortis is also evaluating the binding bids it has has received for the healthcare business. Two fresh binding bids, from Malaysia's IHH Healthcare and Manipal-TPG combine, were submitted on July 3. Two suitors, KKR-backed Radiant Life Care and Munjal-Burman combine, have backed out from the race for the cash-strapped healthcare chain. The Fortis board has decided to appoint an Expert Advisory Committee (EAC) and an additional financial advisor to evaluate all binding bids, the company said in a regulatory filing. Meanwhile, independent auditor of the Fortis Healthcare, Deloitte Haskins & Sells LLP today said the Board of Fortis Healthcare are unable at present to determine whether a fraud has occurred on the company. "At this juncture the Board of Directors of the company are unable to make a determination on whether a fraud has occurred on the company in respect of the matters covered in the investigation by the external legal firm...," the auditor said in its report. This is considering the limitations on the information available to the external legal firm and their qualifications and disclaimers as described in the investigation report, it added. Fortis Healthcare had earlier said that markets regulator Sebi has ordered a forensic audit in the matter of the company, which has admitted to systemic lapses in giving Rs 494.14 crore loans to firms controlled by erstwhile promoters -- Malvinder and Shivinder Singh. The company, on June 27, had said that it had initiated legal action to recover the inter-corporate deposits (ICDs) given to the three firms after an external investigation found "systemic lapses and override of controls" in the loan given. The loans were given without Board approval and enough collaterals, it had said.